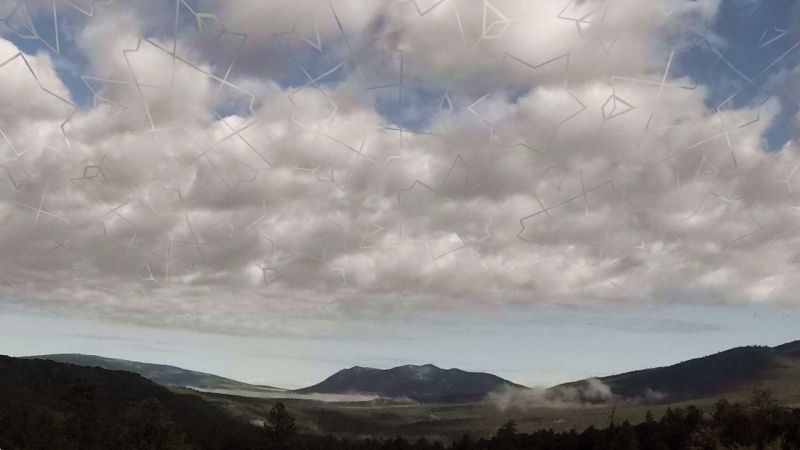 July 3, 2017 – Recent and Upcoming projects: Transcending Time in Taos, New Mexico, and new Architectural Optics in Oregon. 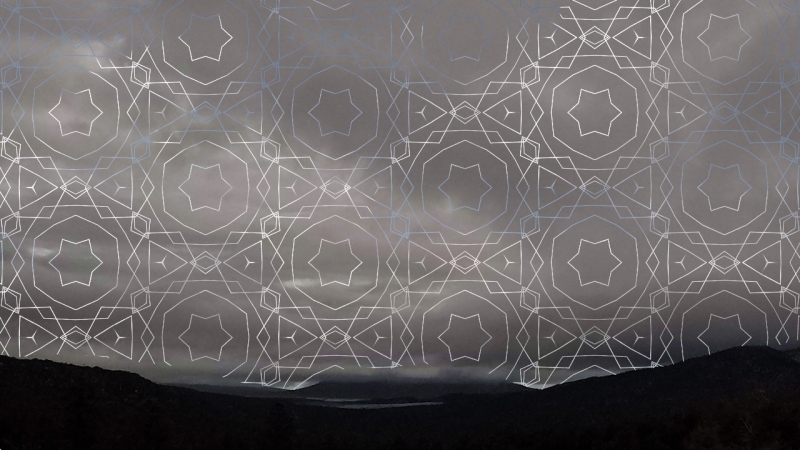 In April, Ethan was invited to a short residency at the Sitka Center for Art & Ecology on the Orgon coast, where he prepared a new sound-reactive video project for the Taos Chamber Music Group’s May performance Transcending Time. During the visit, he also made preparations for an upcoming one-day Architectural Optics project to take place at the Sitka Center on July 8, 2017. See their event schedule for more details. Ethan’s works in Architectural Optics are elaborate site-specific installations in natural light. He creates and adapts interior space with lenses, mirrors and interior surfaces to naturally project views of the outdoors, changing light, weather and activity– all without electrical power or digital media. These camera obscura based works have been evolving for over a decade, and many previous installations can be reviewed here. The upcoming work will occupy an entire house with a view of meadow, woods, and the Salmon River estuary at Cascade Head on the Oregon coast. 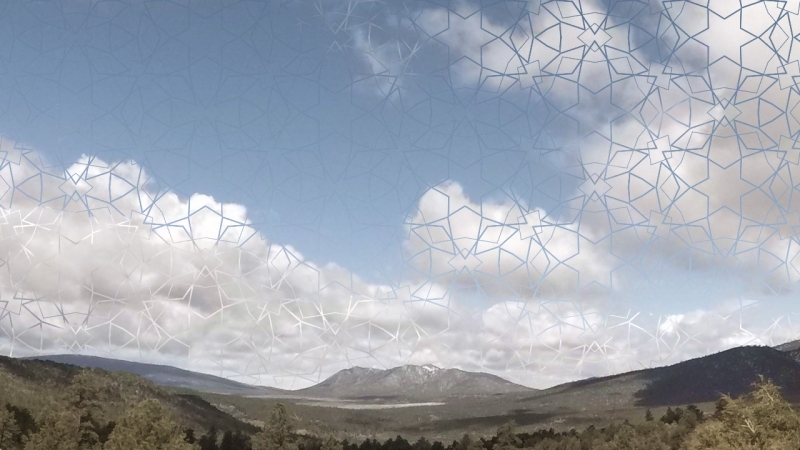 Earlier this year, Ethan was also invited by the Taos Chamber Music Group to create a new sound-reactive work to accompany a performance of Yuko Uebayashi’s Au delà de Temps, part of their May program Transcending Time. 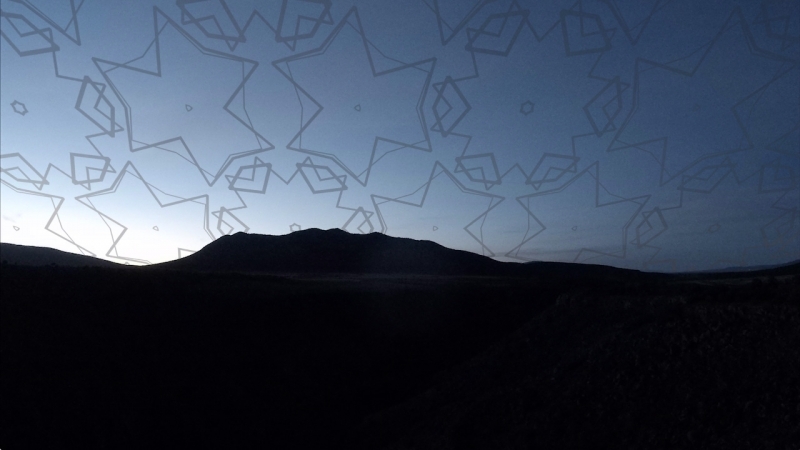 The work is a cycle of dramatic and monumental time-lapse landscape and sky imagery collected over two months in the mountains of New Mexico. 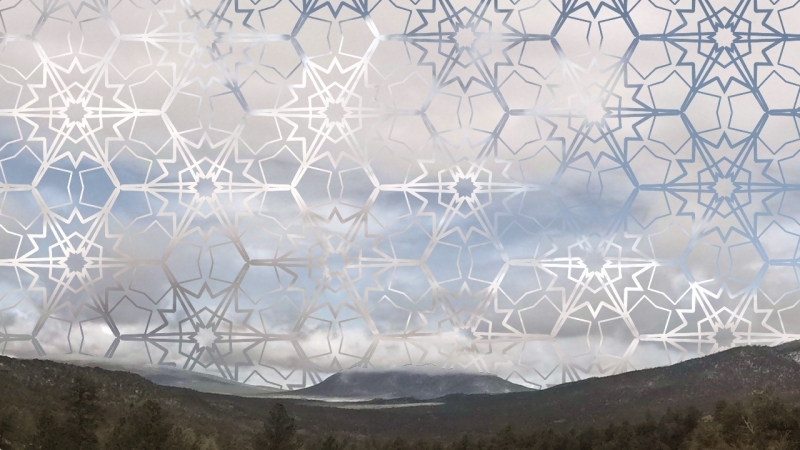 The sublime lansdscape is rich in light, atmosphere, weather and clouds; geometric designs appearing in the sky are generated live in response to the sound of the musical performance. Several short video excerpts linked here. Also recently completed and on view permanently in Denver, clerestory is an architecturally integrated optical work that brings views of the sky into the library’s vaulted Storytime Tower, a place used for storytelling in the children’s collection. Whenever the the sky outdoors is bright, the vault is illuminated by images of the sky, clouds, treetops, and neighboring building. The imagery changes constantly, a direct live projection of what is happening immediately outside. The projection is natural, with no electronics or power source other than the light outside. 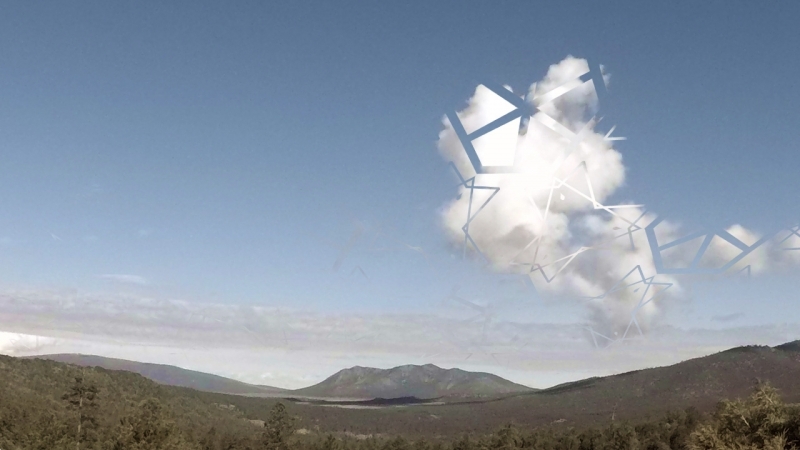 Last fall, Ethan Jackson’s work was exhibited in four exhibitions in Taos, Denver, and Charlotte. The Harwood Museum of Art presented Azimuth / Altitude, an interactive video and light environment; the Museum of Outdoor Arts’ Reinventing the Image included Jackson’s photographs; his optical installation Five against Eight was on view at UNC Charlotte’s Projective Eye Gallery; and also in Charlotte, The Light Factory hosted new works in video and light. Posted in Architectural Optics, Generative, Interactive, Landscape, News, Video & DigitalBookmark the permalink.